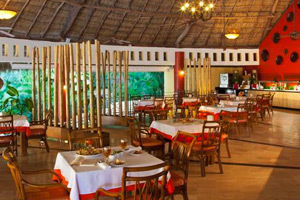 Delight your taste buds in Grand Palladium Vallarta Resort & Spa thanks to the various culinary options that you will find in the different restaurants located in the complex. 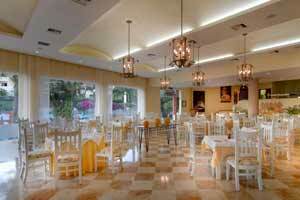 Grand Palladium Vallarta Resort & Spa has two buffet style restaurants where you will be able to enjoy all your meals. You can also allow yourself to be seduced by the charms of the different themed dinners that we offer you throughout the week. 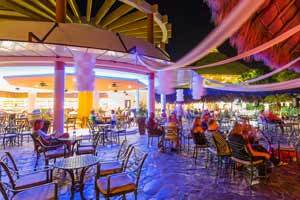 Grand Palladium Vallarta Resort & Spa also has four specialist A la carte restaurants for dinner service, a Sports Bar with Snack service and an endless variety of options that you can enjoy during your stay (themed BBQ on the beach, Paella, Romantic Dinners, etc.). Of course, don't miss the opportunity to try our select cocktails at any of the seven bars spread around the Resort. Try a delicious Margarita while you take a refreshing dip in one of our pools or try our wide selection of international drinks in our Hemingway Bar with air conditioning. 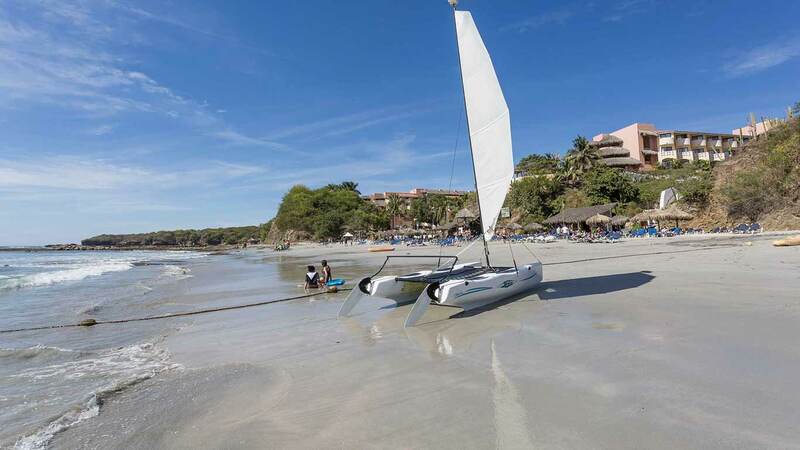 Grand Palladium Vallarta Resort & Spa also offer gluten-free menus and a special program for people with allergies and intolerances. 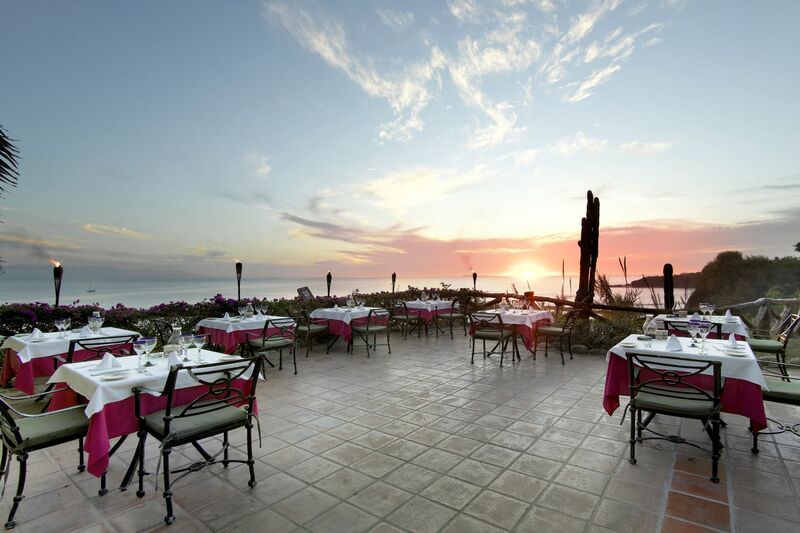 Guests staying at the Palladium Vallarta Resort & Spa have free access to all bars and restaurants in the Resort, except those located at The Royal Suites Punta de Mita by Palladium. Italian Restaurant open for dinner service. Let yourself be carried away by the essence of Italian culture simplified in each of our dishes, from our pizzas baked in a wood-fired oven to our traditional pasta. No reservation is necessary. Oriental Restaurant open for dinner service. Our Asian cuisine is characterised by the careful and sensitive treatment given to both the food and our diners. Try the flavours, colours and shapes of the wide range of sushi or teppanyak. Mexican Restaurant open for dinner service. 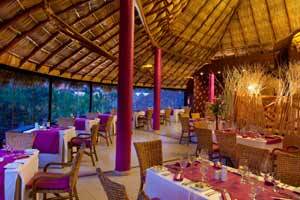 We invite you to enjoy our traditional dishes made with all the flavour and tradition of Mexican cuisine. 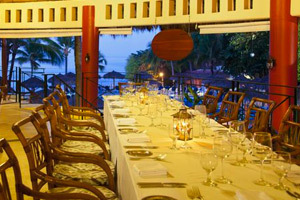 The indoor section is air conditioned and it also has spectacular terrace with views over the Bay. No reservation is necessary. 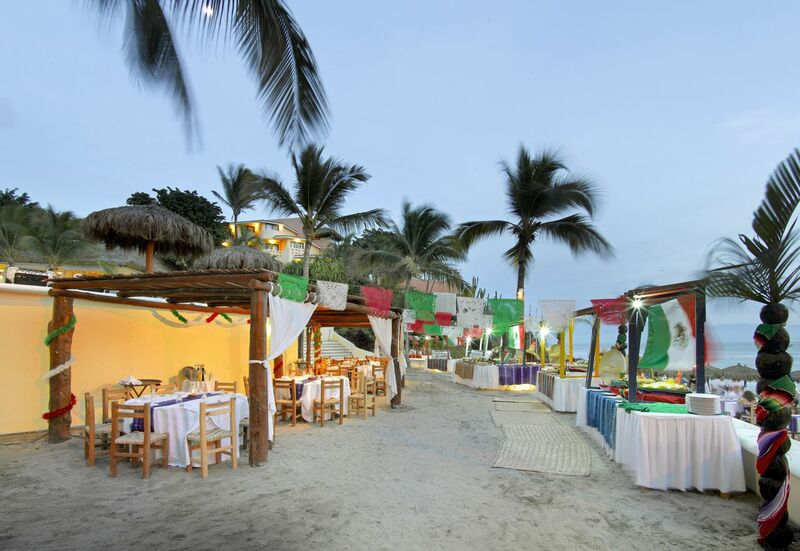 Open air TexMex Restaurant. We maintain the tradition of cooking our most select cuts of meat and the wide range of ribs over the heat of the embers. 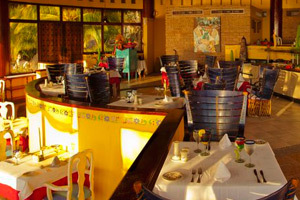 Open area restaurant located near the main pool and the beach. You can find a wide selection of your favorite snacks: burgers, hot dogs, pizzas ... and other options. 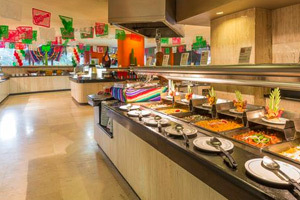 It offers cold or hot buffet snacks and desserts. Main bar located near the Lobby and the Theatre where the evening shows take place. Offers a wide range of cocktails, coffee, ice cream and national and international drinks. Bar located on one side of the La Placita Lobby Bar. 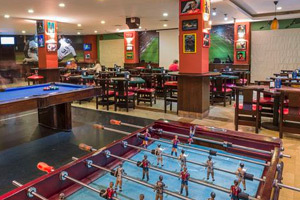 This is the perfect place to enjoy watching your favourite sport on our TVs and giant screen. You will also find the Internet centre, pool tables and table football. You can also a wide variety of snacks and pizzas that you will find on our menú. 9:00am - 4:00am (Snacks 6:00pm - 4:00am). Bar located on the sea front. The most tropical bar in the Resort, where you can cool off with the most original cocktails while you spend a relaxing or fun day on the beach. Bar located behind the Placita, near the Lobby. 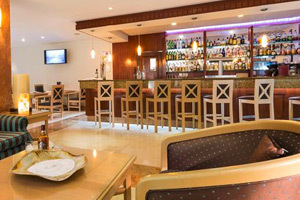 Take time out in this air conditioned bar to enjoy a extensive cocktail menu, Premium national and international drinks, coffee, tea, etc. Adults only.